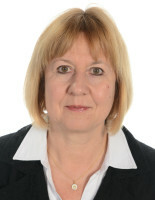 Sabine Karg studied prehistory and early history, medieval archeology and botany at the Universities of Tübingen, Stuttgart-Hohenheim and Basel. Already during her master’s degree, working from plant findings from the lake dwelling at Allensbach-Strandbad by Lake Constance, she reconstructed the subsistence of the Neolithic settlers and the ecology in the surroundings of the towns. She wrote her doctoral thesis on the agricultural economy of the Middle Ages. After a three-year postdoctoral stay at the Universities of Leiden and Amsterdam, Dr. Karg was called to the National Museum and University of Copenhagen. Since 2006, she has intensively researched the growing and processing of the fibrous plant flax (Linum usitatissimum L.), focusing on the evidence of diversified use of this plant in archaeological findings.